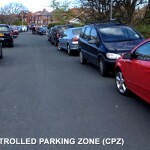 North Yorks Enquirer | Whitby Parking Victory! A resident of Whitby who was given a Penalty Charge Notice (PCN) by Scarborough Borough Council (SBC) has won the case at the Traffic Penalty Tribunal. The judgement from the Tribunal is below. 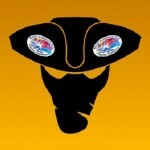 Download the PDF file Adjudicator Decision 1834890. 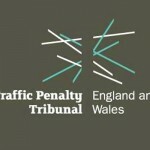 As you can see, the Traffic Penalty Tribunal Adjudicator ruled against SBC because the council had not included any photographic evidence of the Zone Entry signage in the pack for the Tribunal to peruse. Some of you may remember the recent case I won at the Tribunal. I also won the case because Scarborough Borough Council did not include any photographic evidence of the Zone Entry signage to the Tribunal. 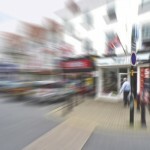 They accept that photographic evidence of the zone entry signs was not provided to the adjudicator in the previous case but say that they consider that the relevant signs do meet the requirements of the regulations. SBC claims they lost my case because they did not provide photographic evidence of the zone entry signs, which is amusing because there are no zone entry signs on the borders of my residential parking zone. Whilst I am provided with a plan identifying the locations of the signs, I am still not provided with a photograph of the type of signage finally used. The council cannot prove that restrictions within a CPZ are enforceable if they do not provide a photograph of at least an example of the CPZ sign actually in use. SBC provides written evidence to a tribunal which freely admits to losing another case because they did not provide any photographic evidence of Zone Entry signage, they again neglect to provide photographic evidence of the Zone Entry signage. Careless? Clueless? Incompetent? Or is there another reason? Take a look at this cunningly hidden Disc Zone Entry sign in Whitby, which in itself makes all PCNs issued in Whitby unenforceable. If you remove the foliage, the sign says “DISC ZONE“. 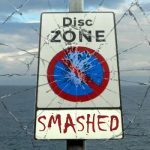 What is a Disc Zone? 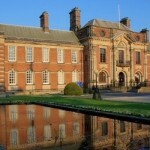 According to government legislation it is an area designated for time limited parking where a parking disc indicating the time of arrival must be used. 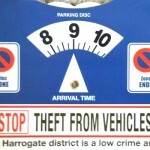 It appears that Scarborough Borough Council and North Yorkshire County Council have finally figured out that their Disc Zone Entry signs are incompatible with their Residential Parking Zones, unless the parking bay signs specifically mention parking permits or another variant of the Zone Entry sign is used. The councils admit their signage is incorrect and alter it to fit government regulations, thereby admitting the millions of pounds they’ve taken from we taxpayers was illegally collected. 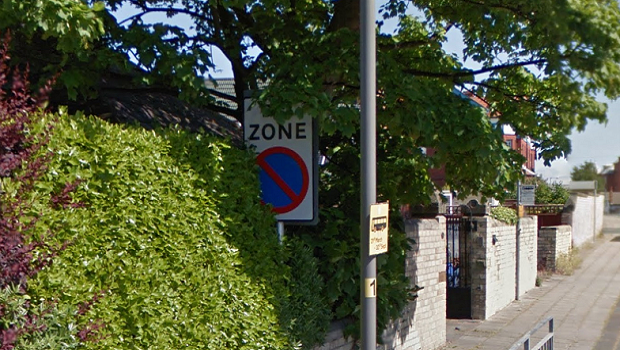 Every time they go to the Traffic Penalty Tribunal in future they deliberately fail to send in photographic evidence of their Zone Entry signs and lose the case. Some might believe that option 2 is Misconduct In Public Office or perhaps Perverting The Course Of Justice. Have you just got yourself a PCN for parking without a disc in an on-street Residential Parking Zone in Scarborough or Whitby? Drop us a line. We’d like to help you win your case and further expose this scam.